An article published in “The Astrophysical Journal Letters” describes a research on the quasar Q2237+0305 nicknamed Einstein Cross or Einstein’s Cross. Through the technique of gravitational microlensing a team of Spanish astrophysicists carried out the most accurate measures of the innermost region belonging to the disc of materials spinning around the supermassive black hole that feeds this quasar. 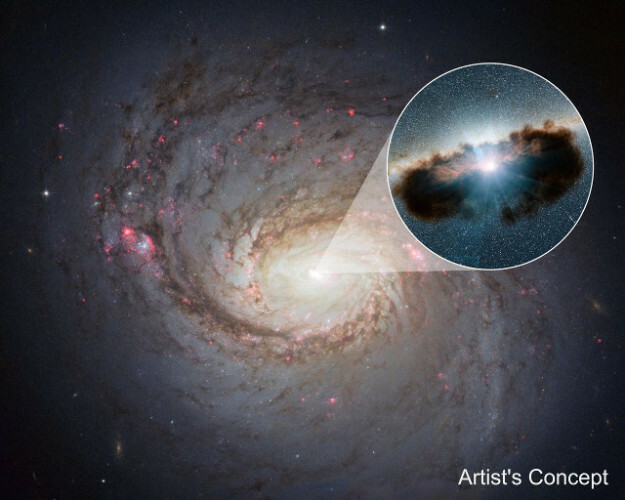 An article published in the journal “Monthly Notices of the Royal Astronomical Society letters” describes a research on the supermassive black hole at the center of the galaxy NGC 1068. An international team of astronomers led by Andrea Marinucci of the Roma Tre University in Italy used ESA’s XMM-Newton and NASA’s NuSTAR space telescopes to study the giant doughnut-shaped structure around the supermassive black hole. The Hubble Space Telescope allowed us to observe a supernova just during the explosion. This is due to the fact that its appearance was foretold. For the first time, the use of complex calculations related to the theory of relativity made it possible to capture the supernova nicknamed Refsdal when it exploded. 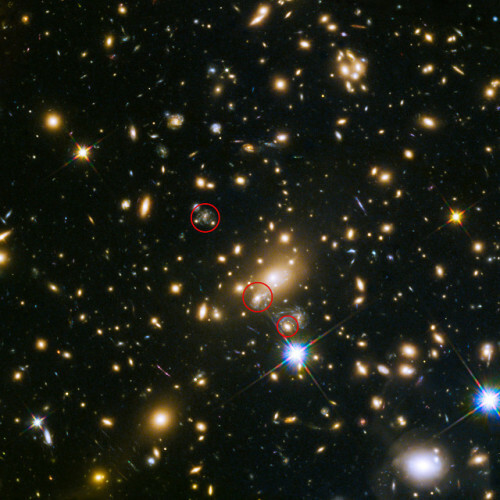 It’s the first time such a feat was achieved by exploiting the gravitational lensing of that galaxy cluster MACS J1149.5 + 2223, which bent the light from that star showing the explosion several times in different areas of the sky. An article published in the journal “Nature” describes a research that provides an explanation to the apparent scarcity of water detected on some exoplanets of the type known as hot Jupiter. These are gas giants like Jupiter but orbit very close to their stars and consequently have very high surface temperatures. 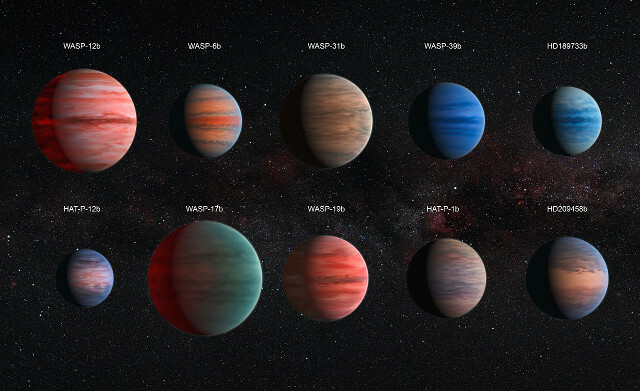 An international team of astronomers used the Hubble and Spitzer space telescopes to study ten exoplanets of this kind. 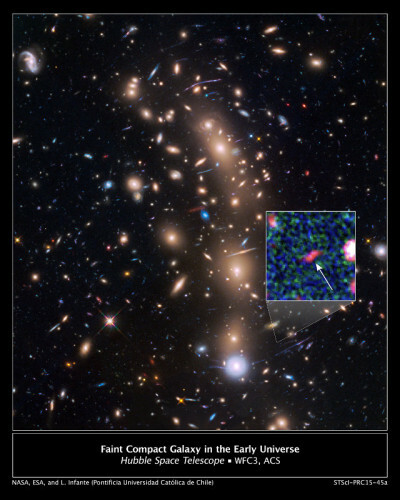 An article published in the journal “Astrophysical Journal” describes the discovery of the faintest galaxy in the early universe. According to this study, this galaxy was born when the universe was “only” about 400 million years old and for this reason was nicknamed Tayna, which means “first born” in the Aymara language. 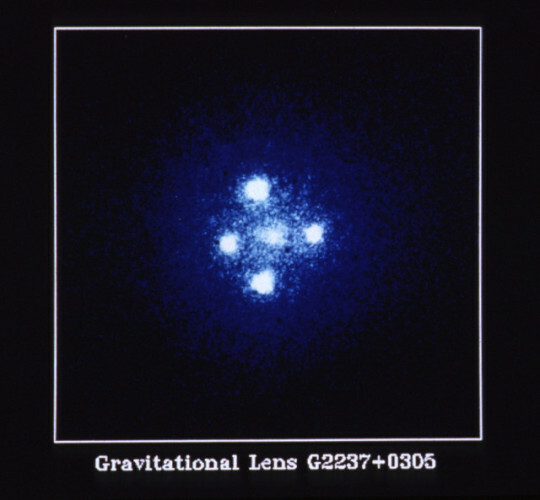 To detect its light the gravitational lensing effect of a galaxy cluster was used. That allowed to capture the extremely dim light of a total of 22 ancient galaxies using the Hubble and Spitzer space telescopes.